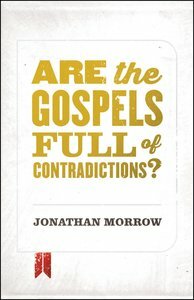 About "Are the Gospels Full of Contradictions?" Jonathan Morrow (MA and MDiv, Talbot School of Theology) is the author of Welcome to College and Think Christianly: Looking at the Intersection of Faith and Culture and, coauthor of Is God Just a Human Invention?, founder of www.thinkChristianly.org, and contributor to the Apologetics Study Bible for Students and Foundations of Spiritual Formation. Currently, he is the equipping pastor at Fellowship Bible Church in Murfreesboro, Tennessee.